This was the question Dot had been asking me since the day she knew that she would be going to watch Disney on Ice Treasure Trove. Every time she spotted the advertisement on the TV, she was be so thrilled and excited. Boasting that she would be watching the show soon. Finally we arrived at Singapore Indoor Stadium for our first Disney on Ice. The stadium was crowded and packed with families with children. We saw many little girls all dressed up in their princess outfits. My girl exclaimed,”The dress is very pretty.” She didn’t have such elaborate outfit but she wore a decent red dress and a ribbon hairband. The excitement was oozing out of my daughter and she couldn’t wait to see all the Disney characters. We are fortunate to get the front seats where we could have a good centre view of the stage and the skating performers. I caught Dot waving to the characters when they were standing in front of us. It was indeed a magical performance that brought back many childhood memories especially when I watched the timeless story of Snow white and the seven dwarfs. The outstanding skaters, dressed in various characters in Toy Story, Alice in Wonderland, Lion King, Rapunzel, Ariel the mermaid, Peter Pan and more, never fail to delight the audience. During the intermission, she said she wanted to be Captain Hook! The two-hour performance (including 15 minutes intermission) kept my daughter attention throughout. When I asked her which part of the show did she like best. Her reply was EVERYTHING. 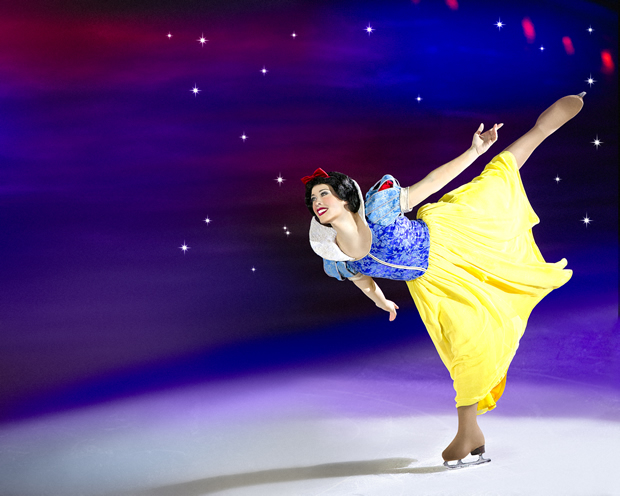 Catch Disney on Ice Treasure Trove before it ends on 23 March 2014. Tickets are available online through the Sports Hub Box Office, call + 65 6333 5000 or visit any Sports Hub ticket outlet at all SingPost locations. 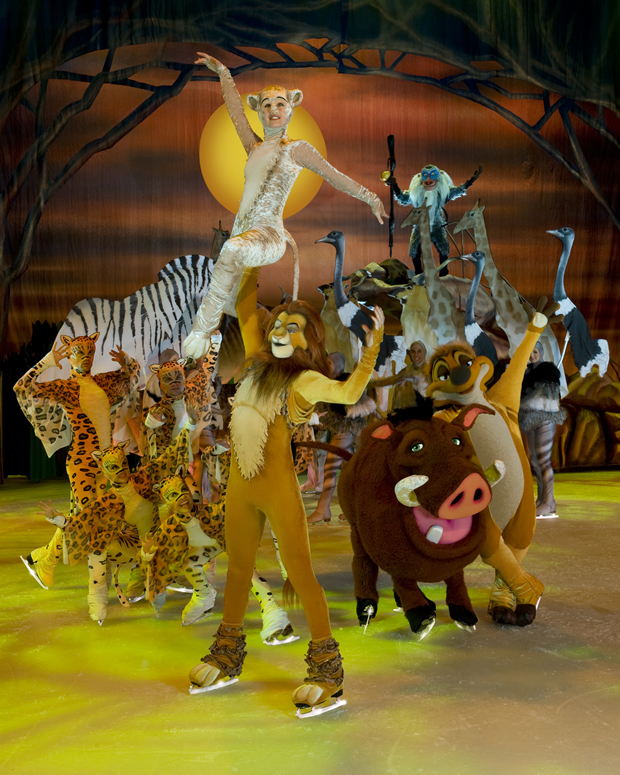 Disclaimer: We are invited and given complimentary tickets to watch Disney on Ice Treasure Trove. No monetary compensation is given.